President Donald Trump flatly contradicted his officials Friday on how illicit drugs get into the U.S. and made a fanciful case that Mexico, without putting up a peso, is somehow paying for his proposed border wall. TRUMP: "Remember drugs. The drugs are pouring into this country. They don't go through the ports of entry. When they do, they sometimes get caught." — Rose Garden news conference. THE FACTS: He's wrong in saying drug smugglers don't or only rarely use official border crossings for their trafficking. Land ports of entry are their primary means for getting drugs into the country, not stretches of the border without barriers, says the U.S. Drug Enforcement Administration. The agency said in a November report that the most common trafficking technique by transnational criminal organizations is to hide drugs in passenger vehicles or tractor-trailers as they drive into the U.S. though entry ports, where they are stopped and subject to inspection. They also employ buses, cargo trains and tunnels, the report says, citing smuggling methods that would not be choked off by a border wall. TRUMP: "The new trade deal we have with Mexico and Canada — what we save on that, just with Mexico, will pay for the wall many times over, just in a period of a year, two years or three years. So I view that as absolutely Mexico is paying for the wall." — Rose Garden news conference. THE FACTS: Mexico is not paying for the wall and nothing in the trade agreement would cover or refund the construction cost. Trump is assuming a wide variety of economic benefits will come from the agreement, but they can't be quantified or counted on. For example, he said the deal will dissuade some U.S. companies from moving operations to Mexico and he credits that possibility as a payment by Mexico for his wall. The deal updates the North American Free Trade Agreement, in the main preserving NAFTA's liberalized environment of low or no tariffs among the U.S., Mexico and Canada, while making certain improvements for each country. Trump stated inaccurately that it's "brand new. It's totally different." Moreover, it's not in effect. The deal has yet to be ratified in any member country and its chances of winning legislative approval are not assured. Trump has argued repeatedly that Mexico is footing the bill even while insisting on $5.6 billion from the U.S. treasury to go toward wall construction. His demand and the refusal of Democrats to satisfy it are behind the budget standoff that has closed parts of the government. 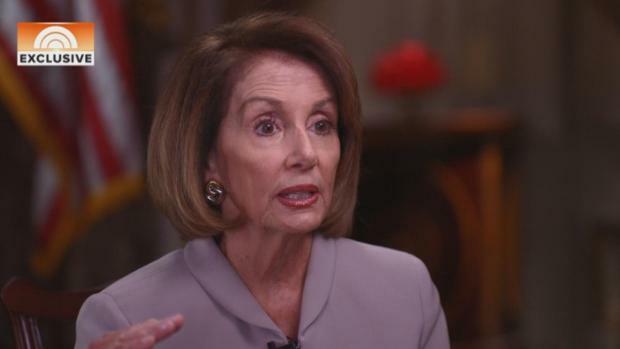 Nancy Pelosi was elected House speaker for the 116th Congress on Thursday. 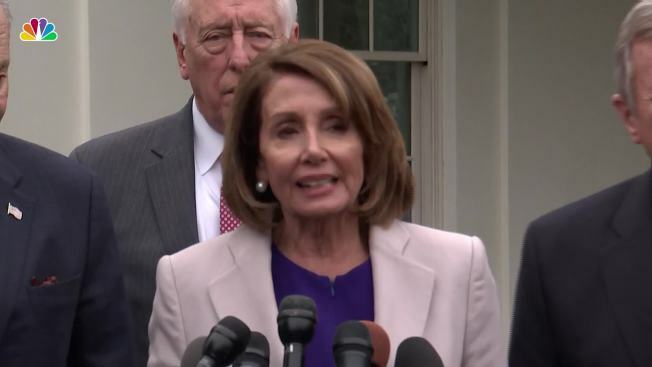 It’s the second time Pelosi has been elected to the position. She is the first woman to ever serve as speaker.